There is a growing push for biomedical and pharmaceutical research to transition towards three-dimensional (3D) cell culture models. Model selection is basically a choice between representation (animal testing) and throughput (in vitro cell culture). 3D cell culture brings the best of both worlds, but technical limitations in cost and handling have prevented its widespread use. To overcome these challenges, Nano3D Biosciences (n3D) has developed magnetic cell culture, where we magnetize cells using NanoShuttleTM-PL, and then rapidly print them into microtissues using magnetic force. This is an easy method for 3D cell culture that works with any cell type, making it ideal for biomedical research and high-throughput compound screening.We offer a wide product line for our technology with kits that are easy to use and fit seamlessly into existing cell culture workflows. 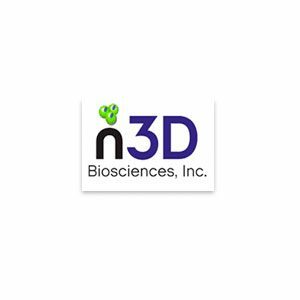 We also provide services, in cell culture optimization or contract research, where we leverage our expertise in 3D cell culture to deliver quality results.At n3D, our goal is to develop our magnetic cell culture technology into the industry standard for 3D cell culture, with longer term focuses on personalized medicine and regenerative medicine.